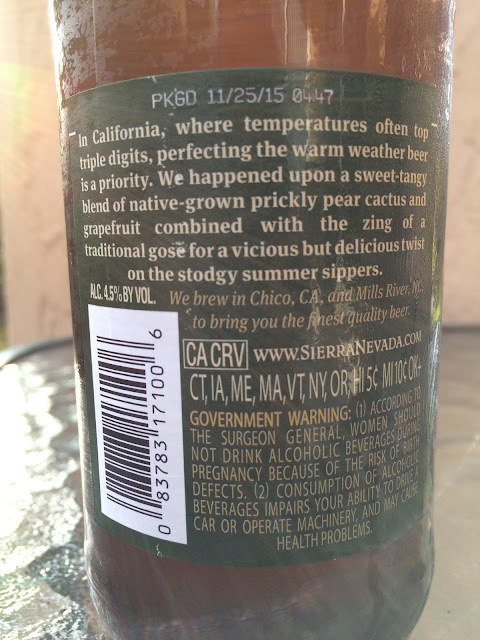 For me, Sierra Nevada Brewing is one of the best breweries around! I can't wait to check out their new brewery in Mills River, NC. And while I think that they are the BEST with their IPAs, they certainly do everything well. So for sure I had to check out their latest newbie, Otra Vez Gose-Style Ale. 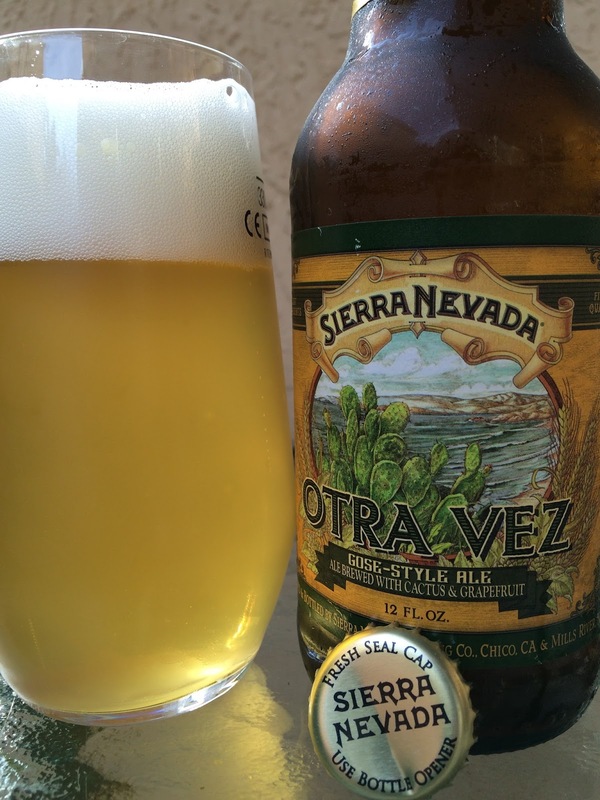 The story on the back label lets you know that Otra Vez is a twist on a gose, using prickly pear cactus and grapefruit to complement the traditional flavors. 4.5% alcohol. PKGD 11/25/15. Tangy, lemony, grapefruity aroma, sharp, full of salinity. I love it! Flavors are similar. Sweet and tangy, citrus, fruity. A little sharp at the beginning of each sip but relatively tame. Lemon and grapefruit zing and an interesting sweetness come in every sip. Guessing that sweetness comes from the cactus. After the prickly beginning, the flavors and texture smooth out to a full-flavored finish. Salty throughout as well. My wife hated even the aroma, so keep in mind that beer drinkers that don't appreciate the tangy, sour-ish styles may not be too happy! But I say to check it out! !